My little corner in the world of nail art. Today I have a new Born Pretty Store stamping plate to show. 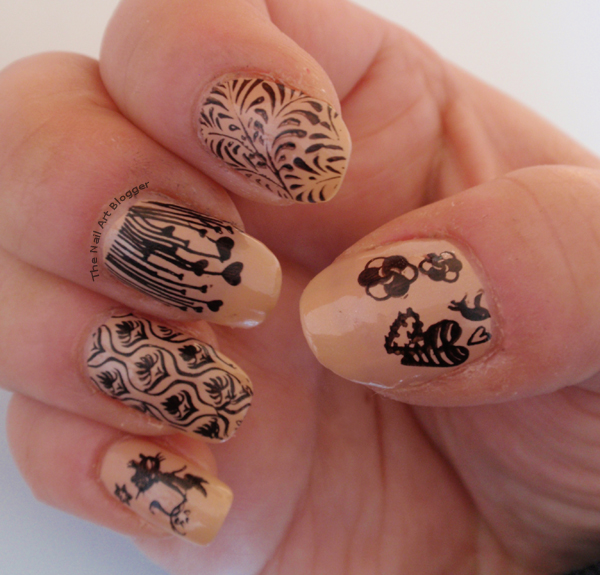 I loved the designs when I saw them on the website, and I loved them even more after stamping them on my nails! The plate comes covered with a blue protective layer, which I removed before taking photos of it. I started off with my usual Essence XXl nail protector base coat, and topped it off with 05 Bounjour Chérie! from Catrice. For the stamping I used the 002 stamp me! black from Essence. And to my surprise, it picked up very nicely this time. There are six designs on the plate, so I stamped two of them on my thumb, as I don't have six fingers and my other hand was occupied by another design. I stamped them a bit too high though. oops. I didn't use a top coat because I needed one hand to be dry to get some work done while the other (see previous post) was still wet. I'm quite pleased with this plate. The etching is nice and all designs picked up on the stamper very well. The full designs were a bit smaller than my nails (my index nail is a bit shorter than the others, so it fit perfectly). So I stamped twice. On the middle finger from the side (you can clearly see it), and on the ring finer around the tip of my nail. The design on my ring finger is my favorite. It reminds me of Sherlock's wallpaper design in BBC's Sherlock. 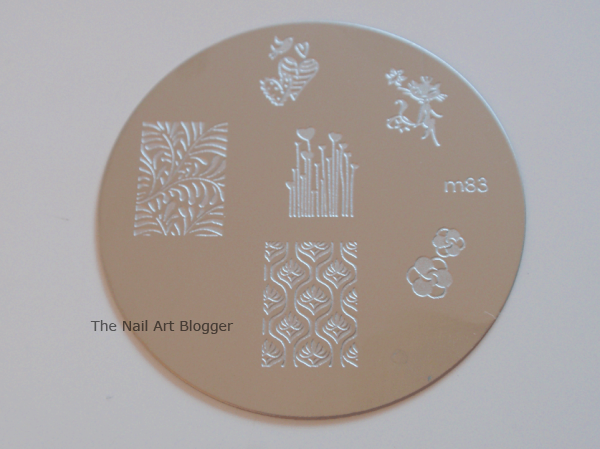 Which one is your favorite of this stamping plate?